If you are wondering, "Can bankruptcy help me?" the answer is probably yes IF you have reached the point where you are seriously considering filing as a last resort and have exhausted all other options for debt payment. You may need bankruptcy help because you owe too much money. Or maybe your creditors are calling at all hours of the day. Perhaps you fear the bank will foreclose and you will lose your home. Whatever the reason, seeking relief when you are in a financial bind is nothing to be ashamed of. Millions of people need assistance every day. 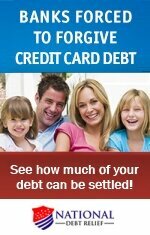 One of the first places you may want to look for assistance is the website of the United States Courts (http://www.uscourts.gov/FederalCourts/Bankruptcy.aspx). This bankruptcy website will answer many of your questions, including details about the bankruptcy process. The .pdf document, called Bankruptcy Basics, is 76 pages long, so be prepared for a great deal of reading & albeit important reading. You may also want to take a look at the bankruptcy code. You can find it online at the Legal Information Institute (http://www.law.cornell.edu/uscode/text/11). The Federal Rules of Bankruptcy Procedure are also important to review and are on the same website. Bankruptcy laws are in place to help people get a fresh start. So can bankruptcy help you? Sometimes it can be very beneficial, depending on your circumstances. You may want to consult a lawyer to sort this out. The first question you must ask is "Do I qualify?" Only people who reside in or do business in the United States may file bankruptcy in this country. You must not have filed for bankruptcy within a specific time frame, or have had a previous case dismissed because you failed to obey the court. You may also be barred from filing if a prior bankruptcy was dismissed and the court has ordered that you may not refile. Generally, you will need to have a Social Security number in order to file for bankruptcy. Bankruptcy law now requires credit counseling prior to filing. Many organizations offer this service, including places online. These services issue a certificate to show that you have completed the counseling. 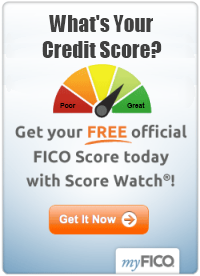 You can find a list of approved credit counseling providers at the US Courts site – www.uscourts.gov. Individuals usually file either Chapter 7 or Chapter 13 bankruptcy. Chapter 7 bankruptcy involves liquidation. Most assets are sold and creditors are paid off. Sometimes people do not have many assets but they still qualify under this section. Chapter 13 bankruptcy is a repayment plan that allows for outstanding debt to be paid off over a long period of time. You will have to repay the debt based on your income and other calculations. Once you file for bankruptcy, you will receive protection from your creditors. They will not be able to harass you, take your home, or otherwise try to regain their money. This is called an automatic stay. As soon as you file and your creditors are notified, you will have peace and quiet. The automatic stay works like a temporary injunction so that creditors must stop trying to collect the debt. There are, of course, exceptions, but in general the automatic stay stops telephone calls, garnishments, lawsuits, foreclosures, and repossessions. Filing for bankruptcy can be a long and difficult process. You may need an attorney. Please see the articles below for additional information about filing for bankruptcy.